Within six months she was singing in the choir and playing her flute at the liturgy. There are three responses from children to the proposal of our Catholic faith. The first is polite conformity. The second is rebellion. The third is intelligent enquiry. When a child smiles sweetly and goes along with what is expected, when they clean up and go to Mass without a complaint and seem to do everything that is expected without question, they are responding with polite conformity. Polite conformity feels good, but the problem is that the child never really questions the faith, so he or she never really encounters the faith. Let’s face it, the beliefs and expectations of the Catholic faith are demanding, and never more so than in our modern society. If a young person doesn’t challenge the faith, then they are not really thinking it through. He or she is just going along with parental expectations because it is the path of least resistance. Polite conformity is not enough, and yet too often parents, teachers, pastors, and catechists don’t demand anything more. In fact, a lot of catechesis is based on polite conformity: “Here, learn this. Do these things and don’t question it. Then you will be a good Catholic.” As a consequence the church pews are filled with adults who think silent consent to the minimum obligations of religion are “good enough,” and this leads to churches full of lukewarm Catholics. The second response is rebellion. The adolescent says, “All this religion stuff is dumb. It’s just not true. I’m outta here!” This response is very often the result of not meeting anyone for whom the faith is a vital, dynamic, and all-consuming concern. Adolescents want to believe and practice a faith that is alive, yet all the adults they’ve met are polite conformists who expect them to follow the party line and become polite conformists, too. So they kick things over, turn the tables, rebel, and leave the church. The third response is intelligent enquiry. Guided by loving mentors, the adolescent considers the beliefs and behaviors that are expected and examines them with an open, questioning, and challenging mind. The beliefs and behaviors that we teach our children are the equipment for embarking on the great adventure of life successfully. It is right and good that they should pull out those beliefs and behaviorial expectations and check to see if they work—to see if they are strong and sure enough to help them on the exhilarating and terrifying journey that is set before them. This is risky, however. They will ask difficult questions; they will test the faith with their keen intelligence and lively curiosity. 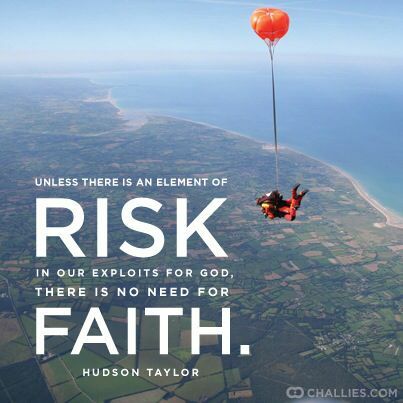 Can we walk with them as they take the risk of faith? I explained the three responses to our eighth-grade confirmation class one week. I could have jumped for joy! She not only got the right answer, she understood the reason for the right answer. The adventure of following Christ requires far more than simply fitting in and not making waves. It’s more like stepping out of the boat to walk on the waves, and intelligent enquiry empowers our children with the courage and resources to step out and do their first wave-walking with Christ.